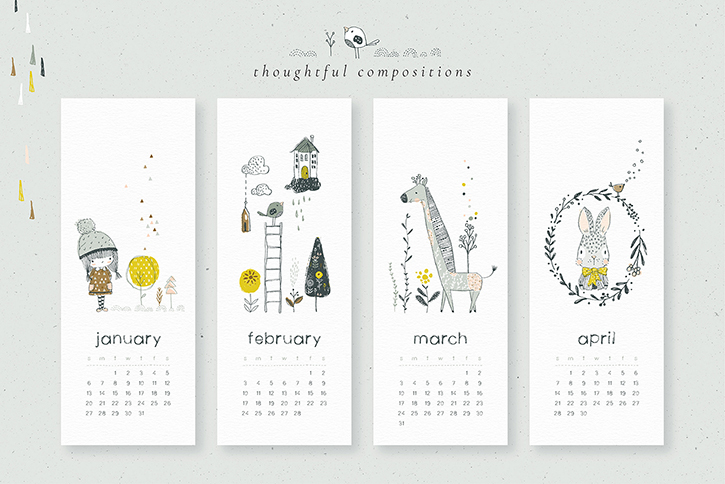 Create adorable calendars you'll love hanging on your wall with the Happy Little Calendar Collection! 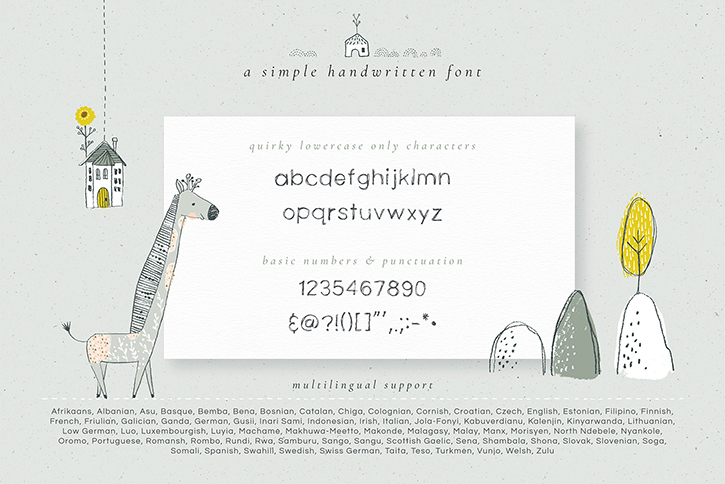 You'll also get a wonderfully whimsical font at no extra cost! 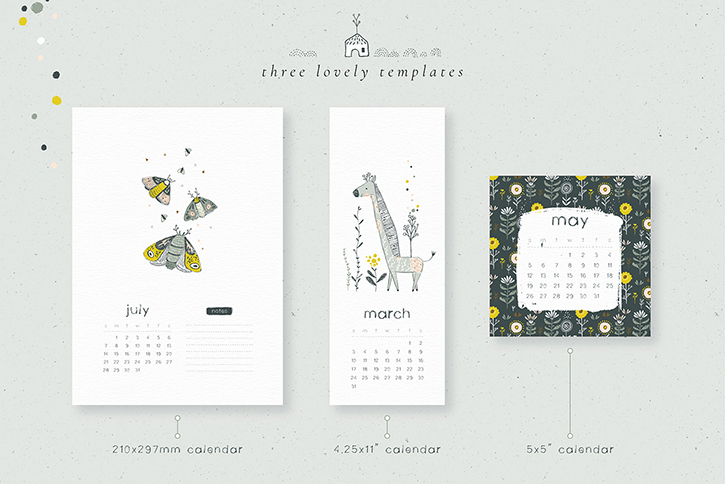 A super versatile collection with three different calendar templates, over 100 drawings, 15 lovely illustration compositions and a wonderfully rustic matching font! 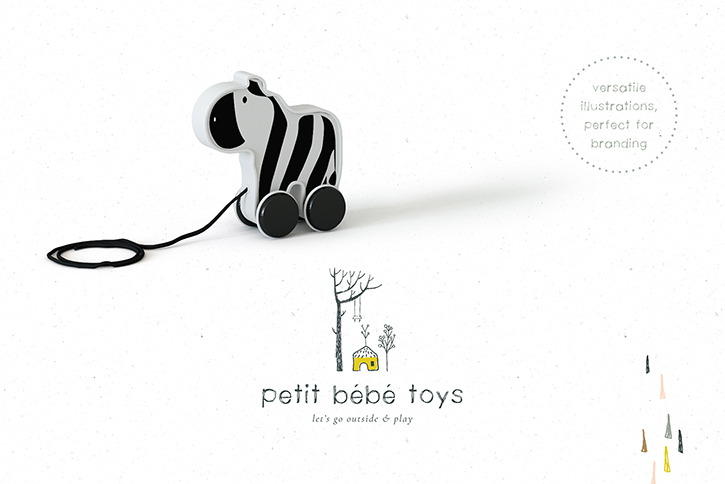 All created for your design enjoyment! 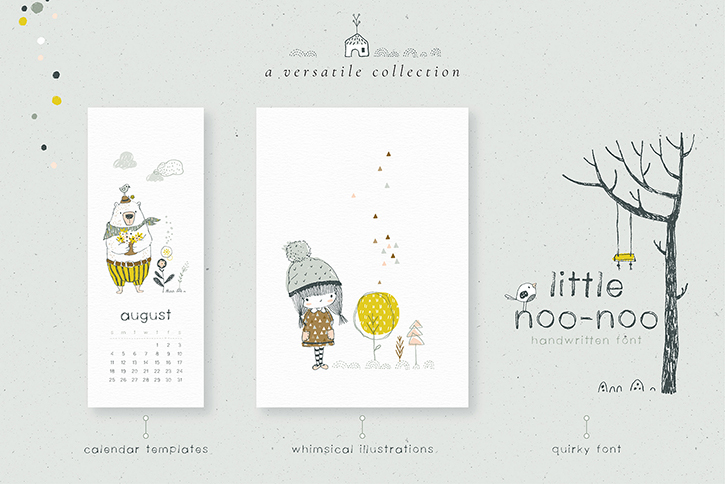 Don't have time to design in the busy holidays? No problem! 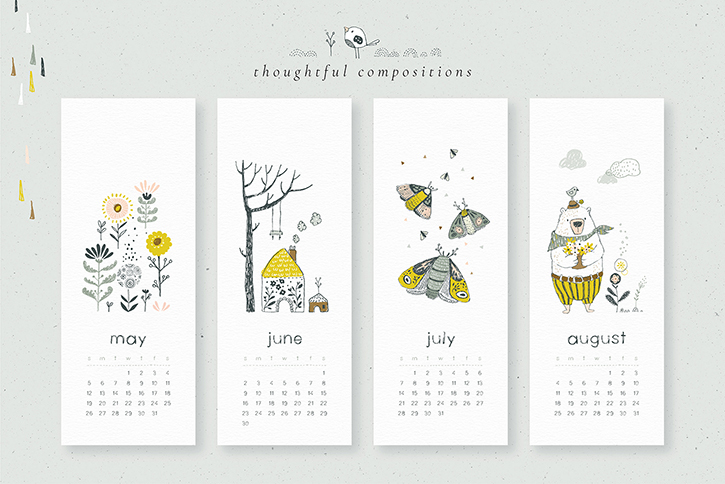 Simply open any one of the carefully pre-made calendar templates and print! Plus you can use the templates for years to come. Edit the text in either Adobe Illustrator (CS5-CC), Adobe Photoshop (CS5-CC) or Affinity Designer. Just install the free bonus font and your good to go! 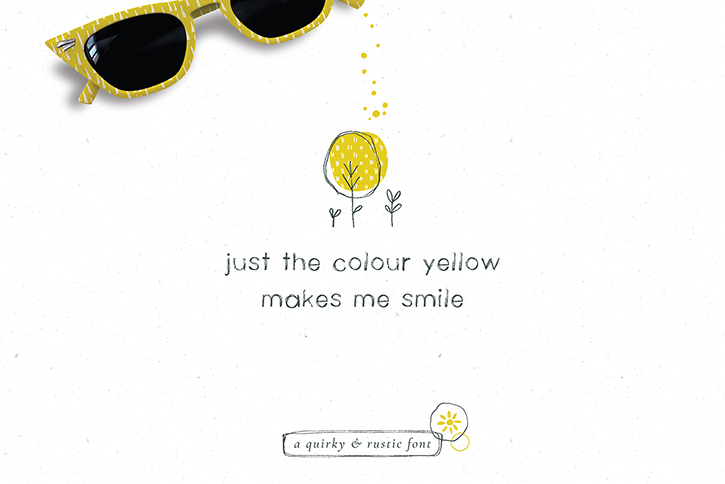 With each illustration composition supplied separately, you could whip-up wall art in minutes, or create an adorable gift card. 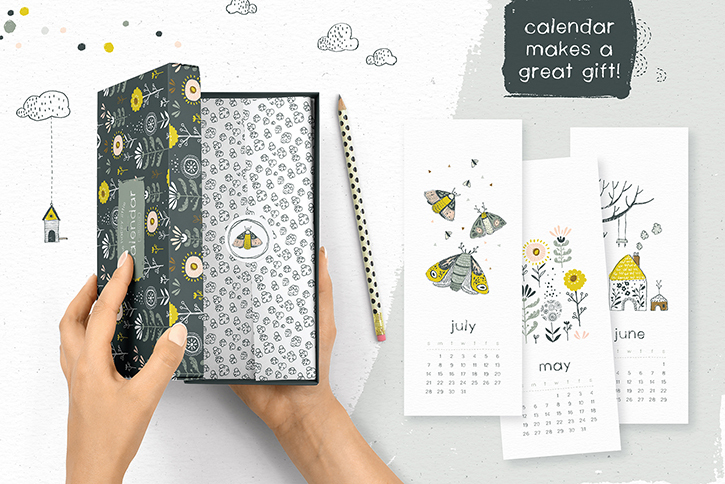 Combined with the calendar templates, you'll have festive gifts sorted for your friends and family in no time! 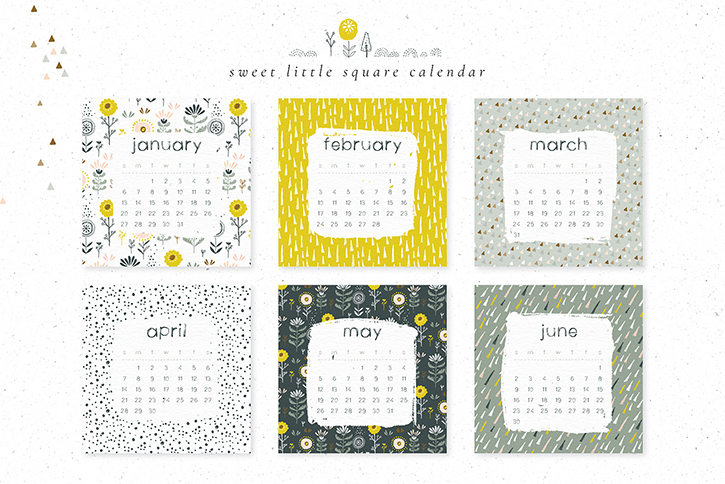 A lovely versatile collection of calendar templates, illustrations a wonderfully rustic matching font! 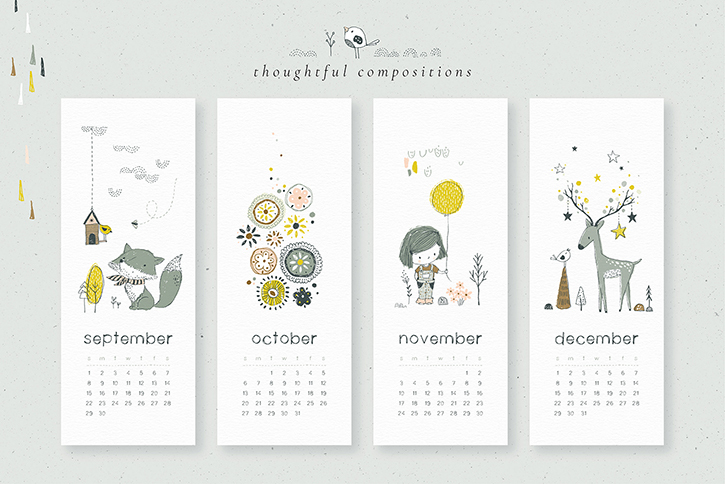 All the elements are supplied in both vector and raster format (i.e. PSD/PNG). 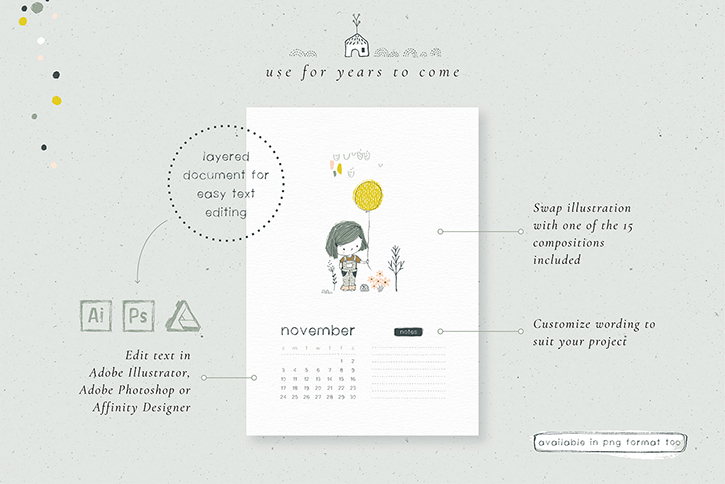 Raster files: PSD files can be opened with Adobe Photoshop. PNG files can be opened with most photo editing software – please check your software for compatibility. 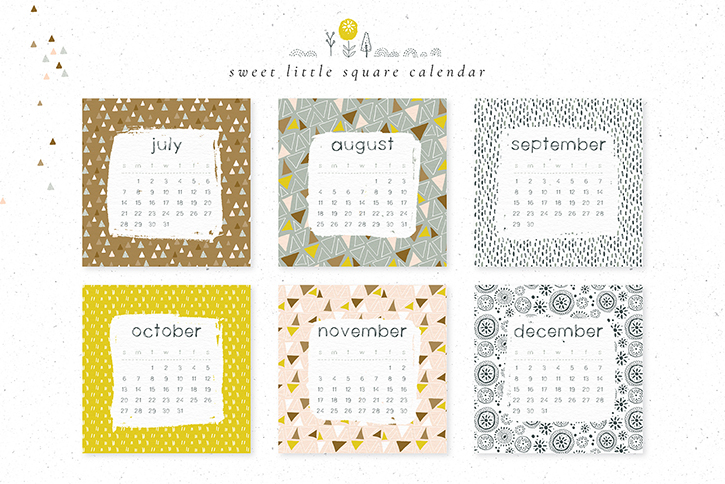 The patterns are supplied as 300dpi 12”x12” PNG papers. 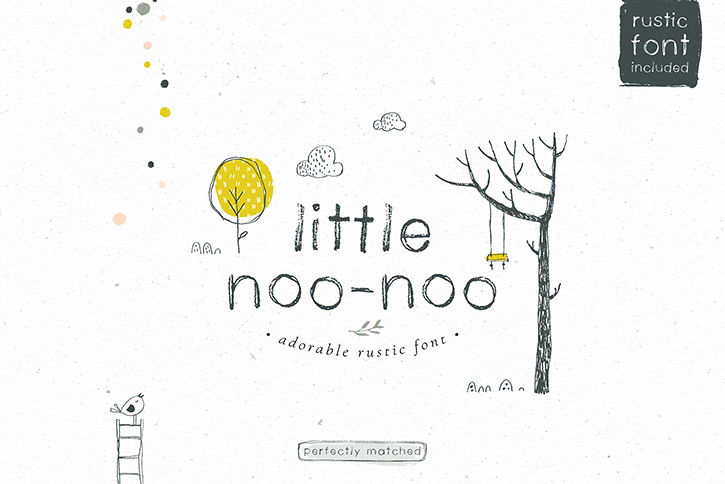 Font is supplied in OTF (recommended) and TTF. 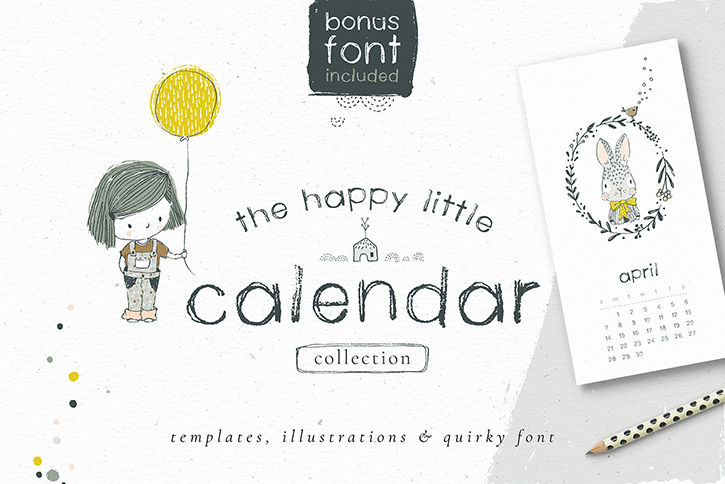 It is a lowercase only font at this stage, it does however support many languages - see product preview for more detail.